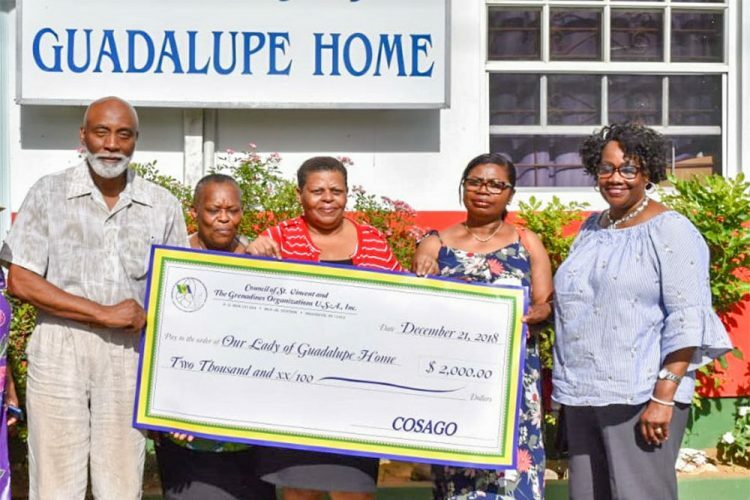 HOLDING FIRM TO its motto: “Unity is our goal, service is our aim,” COSAGO, the Council of St Vincent and the Grenadines Organisation, last Tuesday handed over a cheque of $2000 to Our Lady of Guadalupe Home. The assistance of COSAGO, a New York based organisation, is geared towards assisting with the welfare of the 13 female students, aged between 11 and 18, who are resident at the Home. The donation was especially emotional for COSAGO’s general secretary Ancilla Friday, who like some of the students of the Home, had lost her mother at a tender age. expressed thanks to COSAGO, on behalf of the students. Located in Cane End, Our Lady of Guadalupe Home was established to provide a haven for girls who are troubled, were abused or who have had other social issues.